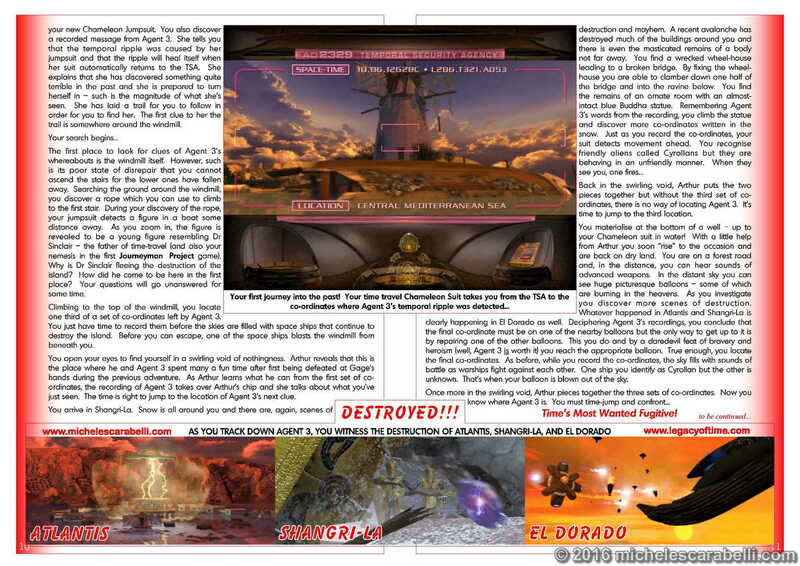 Feature-length article beginning a series of in-depth looks at Michele’s computer game The Journeyman Project 3 – Legacy Of Time. 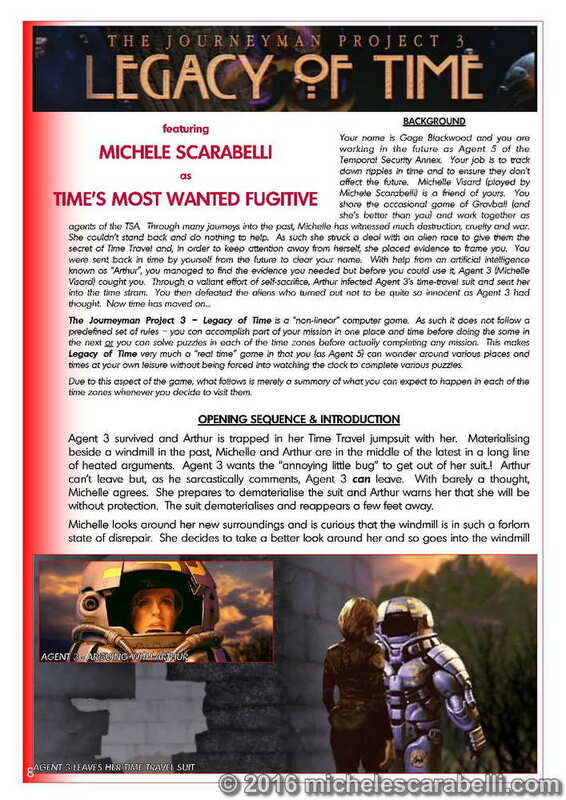 This issue details the first scene of the computer game that features Michele’s character discovering something particularly nasty in Earth’s past. Picture photo-strip taken from Michele’s first ever scene in the popular series Dallas (also featuring Steve Kanaly as “Ray Krebbs”). Embracing A New Media In Broadcasting. A look at the pros-and-cons of streaming media by way of the recent increase of “on-line” web interviews (including Michele’s). Who Needs Lara Croft? – A parallel look at other computer games that feature live actors to enhance gameplay (including the computer games that star Dirk Benedict and Erika Eleniak). The article includes a brief history of computer games themselves – from early Space Invaders to the all-action Tomb Raider series. 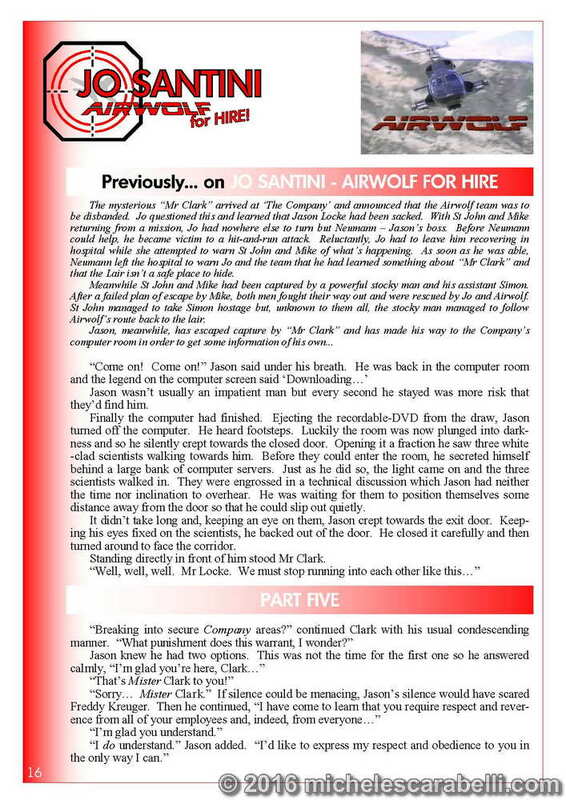 Jo Santini – Airwolf For Hire, part 5 (fiction). Can we pack any more excitement into one issue? !